Welcome to week 182 of Travel Photo Thursday. The last of the marks saw their way into the computer today. I’d like to say that I am heading out in the next couple of days. Alas, I am knee deep in planning lessons for a summer course that starts on Monday. The saving grace is that it’s only for 3 weeks, and then my Penang adventure begins. When I travel I eat, and I don’t think I’m alone. For many of us, food seems to be a huge draw when we’re gallivanting around the globe. Today I’m sharing with you just a few of the mouth watering dishes that have gotten my attention over the years, and that I would travel for again and again. Nova Scotia fish chowder and fish cakes from the Train Station Inn, Tatmagouche, Nova Scotia (You will here lots of strange native Indian names in Nova Scotia!) Except for the fish cakes and chowder made by very own my mom and dad, these have to be the best fish cakes and chowder that have ever teased my taste buds. Peking Duck in China…(Of course, if you want to be politically correct, be sure to order Beijing Duck)…either way, it is out of this world delicious! I would be remiss if I didn’t include one or two of my favorite Korean dishes. 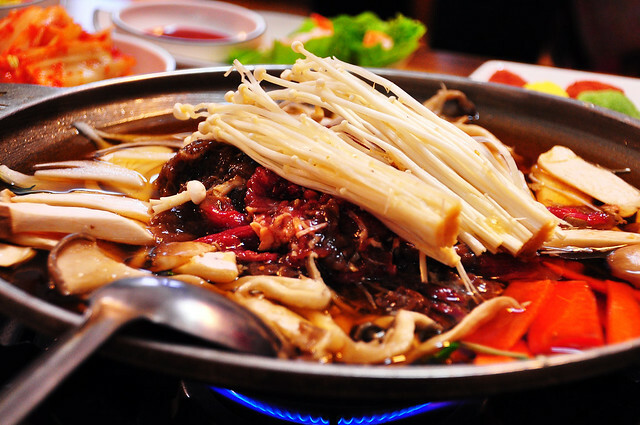 Korean Bul Goki (marinated beef perfectly cooked at your table). Just thinking about how awesome this dish tastes makes my tongue twitch! Korean’s love their noodles, and Kalguksu is one of the best! Which country’s food keeps you going back for more? 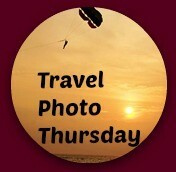 This is the 182nd edition of Travel Photo Thursday. You can browse the archives here. Hi Jan! I traveled in China for a month back in 2010. If you go, I highly recommend that you avoid the summer. It was over 40 degrees everyday, totally brutal. 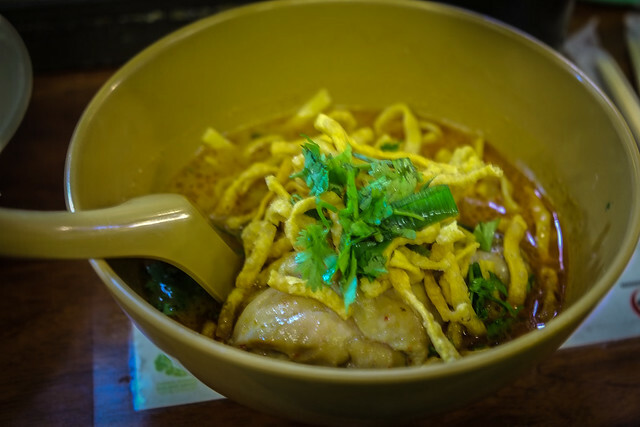 I tried Nyonya when I was in Penang before, and looking forward to trying in again. I’ve enjoyed all of your Turkey food posts. Haha Rachel. I was dying of hunger by the time I hit the publish button. It’s a good thing that I’ve just finished stuffing myself at dinner or else I’d be going crazy with cravings reading your post. 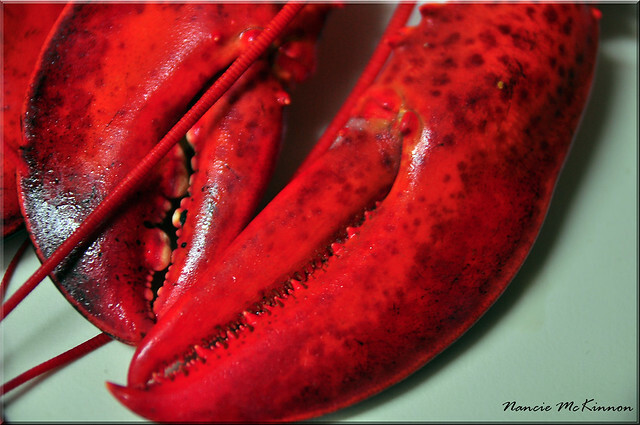 How did the price on the Nova Scotia lobster in Korea compare to how much it is closer to home? Bul Goki and Japchae are my go-to dishes at Korean restaurants. 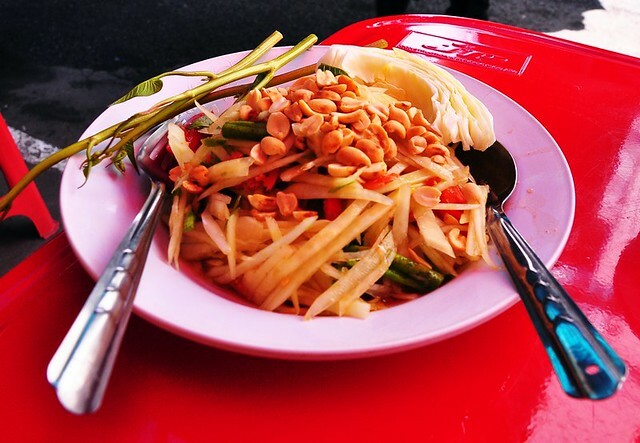 I learned how to make Som Tom when I was in Chiang Mai and am hoping that I can find the green papayas back in Texas. I know that you are going to have a grand time eating in Penang. Both kenhuntfood.com and awesomepenang.com have good restaurant reviews by locals. Too bad that our times in Penang are not overlapping. It would have been wonderful to meet you face-to-face. Hi Michele. It would have been great to meet. I guess it will have to be Texas or maybe Nova Scotia  Thanks for the websites. 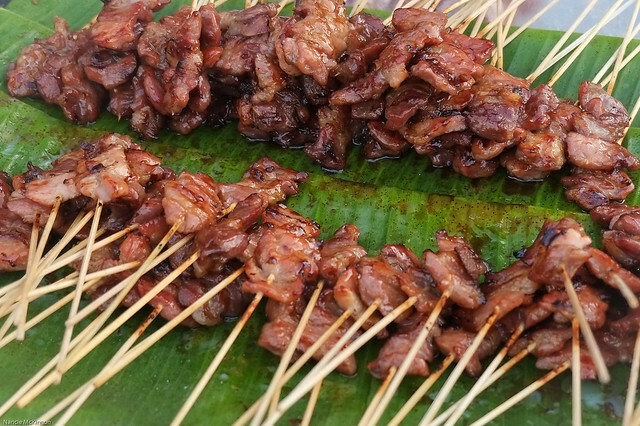 kenfoodhunt.com is on my radar, but awesomepenang is new to me. I wish you luck finding the green papaya. I’ve never found them here in Korea. Enjoy Texas. Looking forward to seeing where your blog goes from here! My mouth is watering, Nancie! 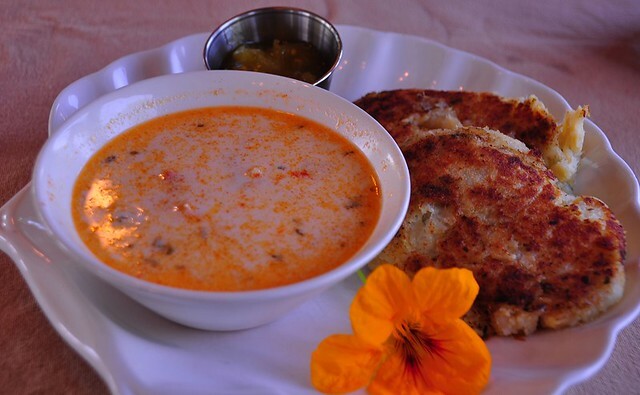 I could go for a bowl of that fish chowder and fish cakes right now and it isn’t even 7 a.m. Great shots!. Hi Jackie. I was so hungry by the time I finished this post that I could have eaten the computer screen! Wow, I’m seriously salivating looking at those pictures! I love Peking Duck (tho I may be biased because it’s a dish from my home country :D), but unfortunately almost never get to eat it. And I love all Thai food! I haven’t made it to Thailand yet, but something tells me that I’ll enjoy my time there very much :). Hi Anna. 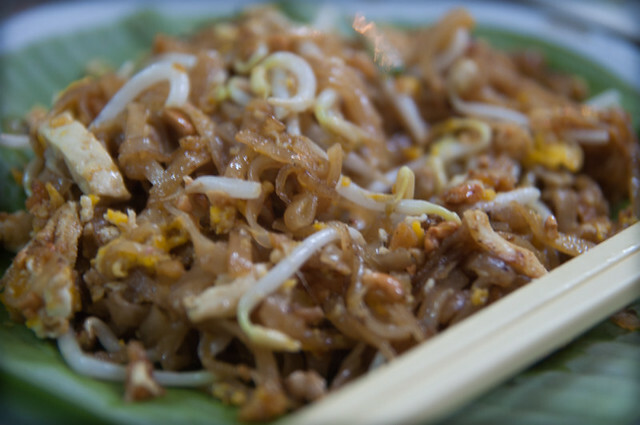 Thai food is amazing, and it’s impossible not to find foodie temptations wherever you go. 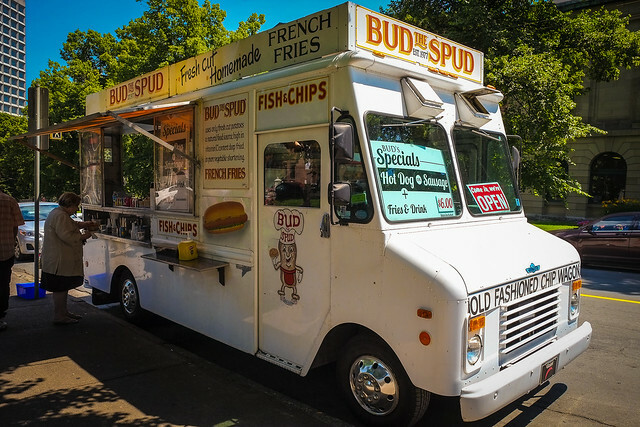 Oh my gosh, I just saw Bud the Spud’s truck last week. I took a pic of the truck, but I wish I had stopped for some fries. Had a great time sampling all the delicious seafood in Nova Scotia. Cool that you were able to get a Nova Scotia lobster in Korea! Every one of these dishes looks mouthwateringly good. Lobster rocks and as I’m in Toronto en route to Newfoundland I sure hope I have some of that over the next two weeks – washed down with a glass of SCREECH. Good luck finishing off the year. The lobster looks so yummy as does the chowder. Hi Brittany. Both are delicious! Definitely lobster in Nova Scotia. 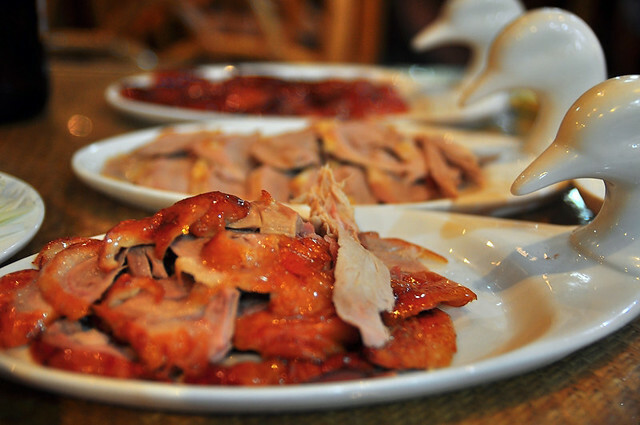 Ditto Peking duck in China. Full English breakfast in London. Steamies and poutine in Quebec. Hi Henry. You definitely should! I once hosted a group of law librarians at a conference in Halifax. I’ll never forget one librarian raving that dining out in Halifax was on par with Montreal! I love Spanish tapas! Reading this made me so hungry ;). I love the food in France, as well – and here in the UK, one of my favourites has to be fish and chips. All the seafood in Nova Scotia looks gorgeous! Hi Molly. I love fish and chips, too. Anyone who likes seafood will enjoy the Nova Scotia food scene. There’s a lot of delicious cuisine you are showing, I could enjoy any of those meals right now since it’s all looking delicous, thanks for sharing them. Hi Noel. You couldn’t go wrong with any of these. They are all fantastically good! I love foodie travel memories. Eating the food of the country you visit is one of my favourite things about travel. I would love to be eating tapas in Spain right now, or pasta in Italy, or visiting by foodie friend in Malta. One of my favourite food memories was eating a picnic of food straight from the market – local cheese, bread, meat, fruit, wine etc on the waterfront in La Rochelle in France. Perfect. Thanks for hosting and have a wonderful weekend. Happy travels! Hi Jess. I’m sure you will have some great food findings to share after Eastern Europe! Nancie, I can definitely relate. When I travel, I look forward as much to the sights as the food. To answer your question, I’ve probably said this before but I wanted to remain in Spain for the food. I’ve not been to Thailand but Thai is my go to food. It’s the perfect combination of spicy, sweet and salty – it never disappoints. Thanks for adding the link for me. Life’s been too busy lately. Hi Marcia. I am getting hungry just thinking of Spain! Hi Anwar. I am always amazed at the great food that can come from a food truck! All very appetising, Nancie. I’m going for the chowder and fishcakes, thanks! 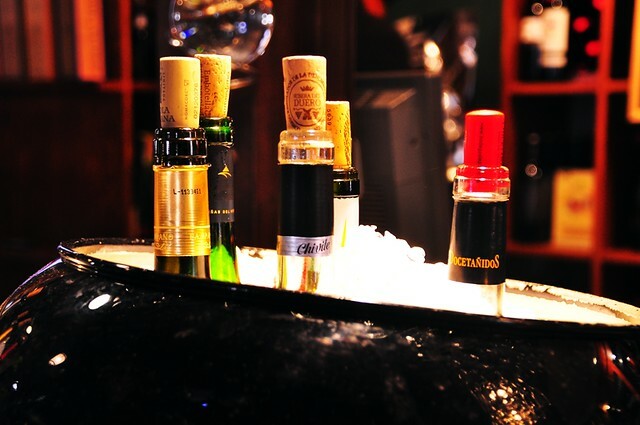 My favorite cuisines are Italian, Thai and Indian. Hi Andrew. Good choice! I love both, and am also a great lover of Italian, Thai, and India.